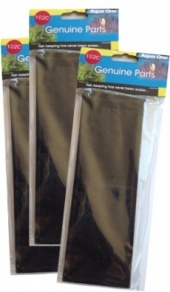 Keep your Aqua One Xpression 21 Aquarium in tip top condition with our fantastic range of genuine Aqua One spares and accessories, including heating, lighting, decor and filtration products. Change carbon and wool cartridges every 6 to 8 weeks and rinse sponge cartridges in a little aquarium water. Replace as necessary. 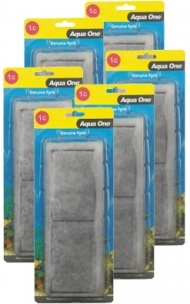 Genuine and original Aqua One 114s Foam Sponge Pad for use with Xpression 32 Series aquarium from Aqua One. Complete replacement (Double) LED lighting unit including transformer for the Xpression 21, Xpression 27 and Xpression 32 aquarium series. The light is an original Aqua one unit and will be identical to the unit supplied with the set up from new. Comes complete and ready to use immediately in minutes. Original Aqua One replacement impeller for Betta Mono, Betta Duo, Xpression 17, Xpression 21, Xpression 27 and Xpression 32 aquarium models. Change every 12 months to help prolong the life of your filter pump.